Business Leaders in Christ (BLinC) is a Christian student organization at the University of Iowa whose mission is to form future business leaders who will integrate their religious values into the workplace. 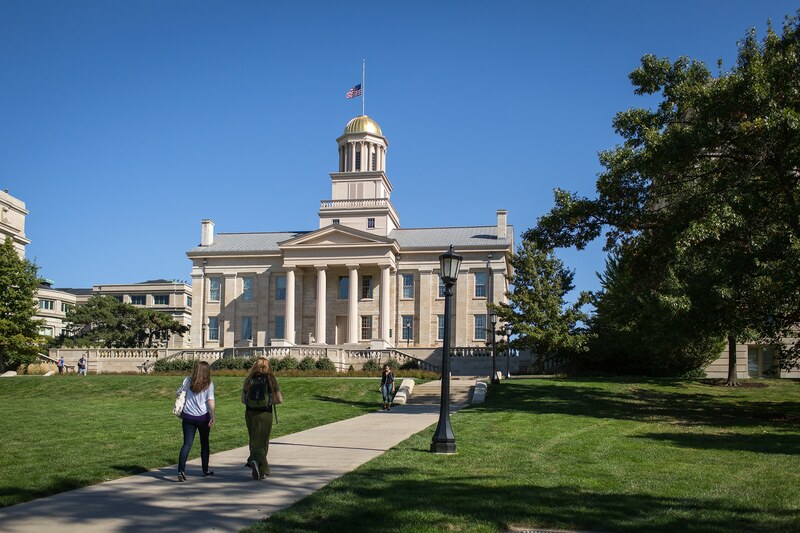 In October 2017, the University of Iowa targeted BLinC and kicked them off campus because BLinC asks its leaders to share its religious beliefs—even though the university allows other groups to select leaders who share their mission and ideology. Becket is defending BLinC in federal court against the University of Iowa, asking the court to allow BLinC back on campus. On February 6, 2019, the court ruled that the university must end its unequal treatment of religious student organizations, and allow BLinC permanently back on campus. In light of continued official statements by the university that its policies would continue to exclude religious student groups, BLinC appealed to the U.S. Court of Appeals for the Eighth Circuit. BLinC v. University of Iowa. The Becket Fund for Religious Liberty (n.d.). Retrieved from https://www.becketlaw.org/case/blinc-v-university-iowa/. BLinC v. University of Iowa. (Apr. 04, 2019). https://www.becketlaw.org/case/blinc-v-university-iowa/. "BLinC v. University of Iowa." The Becket Fund for Religious Liberty. Accessed [Apr. 04, 2019]. https://www.becketlaw.org/case/blinc-v-university-iowa/. Business Leaders in Christ (BLinC) is a Christian student organization at the University of Iowa that hosts weekly discussion groups, where students pray, share Biblical messages, and spiritually strengthen one another. At the heart of BLinC’s identity is its mission to form future business leaders who will integrate their religious values such as integrity, service, and compassion into the workplace. BLinC regularly invites Christian business professionals to mentor students on how they can integrate the faith and their careers. As a part of its ministry, BLinC also successfully partners with a local non-profit, after-school program for mentoring at-risk youth. It has also teamed up with a Christ-centered education organization dedicated to teaching low-income children how to become excellent students and leaders in their communities. As a Christian group, BLinC reasonably asks that group leaders share its Christian faith and beliefs. In this respect, BLinC is no different from the many other student groups on campus that ask their leaders to adhere to certain requirements. For instance, fraternities have only male leaders and members; female sports clubs have only female leaders and members; and political and ideological groups can require their leaders to agree with their mission. But in October 2017, school officials at the University of Iowa targeted BLinC because of its religious beliefs. University officials claimed that, because BLinC requires its leaders to sign a Statement of Faith, agreeing that they believe and will follow BLinC’s religious beliefs, it is violating the school’s antidiscrimination policy. BLinC was told that to get back on campus, it would have to change its religious beliefs. Yet, despite the University’s insistence that BLinC’s Statement of Faith violates school policy, the University supports the rights of other groups to select leaders who share and live by their mission. The University supports the rights of fraternities at the University of Iowa to admit only men. The Feminist Union can require its members to agree on issues of contraception and abortion. The group Students for Life requires its members to be pro-life. All of that is perfectly acceptable, making it more apparent that the school is discriminating against BLinC by barring it from having the same ability to select leaders as other groups. In December 2017, BLinC sued the University of Iowa in federal court to protect its right to select leaders who share its faith and mission. On January 23, 2018, the court ruled in favor of BLinC, reinstating it on campus and giving the University 90 days to either apply its policy as written, which would allow all groups to select leaders who embrace their mission, or stop all groups from selecting leaders based on their ideologies. When the University continued to apply its policy inconsistently, the district court extended its preliminary injunction to cover the life of the case on June 28, 2018. On December 21, 2018, the United States filed a groundbreaking brief in support of BLINC. The United States explained that the university’s discrimination against BLinC for ‘fail[ing] to confirm to University orthodoxy’ not only harms “the free and open discourse” of the university, but also is “a textbook violation of BLinC’s First Amendment rights” to free association, free speech and the free exercise of religion. Oral argument was heard in federal district court in Des Moines, Iowa on February 1, 2019. Before the hearing, the university revealed that it had placed virtually every religious student group on campus—and only religious groups—on probation pending the outcome of BLinC’s case. On February 6, 2019, the court ruled that the university must end its unequal treatment of religious student organizations, and allow BLinC permanently back on campus. The ruling states, “The Constitution does not tolerate the way [the university] chose to enforce the Human Rights Policy. Particularly when free speech is involved, the uneven application of any policy risks the most exacting standard of judicial scrutiny, which [the university] ha[s] failed to withstand.” The ruling is the first federal court decision granting equal access to a religious student group in almost a decade. In light of continued official statements by the university that its policies would continue to exclude religious student groups, BLinC appealed to the U.S. Court of Appeals for the Eighth Circuit. Education: There is a nation-wide trend of curbing free speech and free association—especially religious speech in religious groups—on college campuses. But students do not forfeit their First Amendment rights to freedom of speech, religion, and association by studying at a taxpayer-supported public university. Public square: Religion is a natural part of human culture and should not be scrubbed from the public square. This includes public university campuses, which are reflections of the students who attend them and the taxpayers who support them, including religious students and taxpayers. Religious communities: Becket’s 2012 Supreme Court case Hosanna-Tabor guarantees the right of religious groups to select their own leaders without government interference or entanglement.